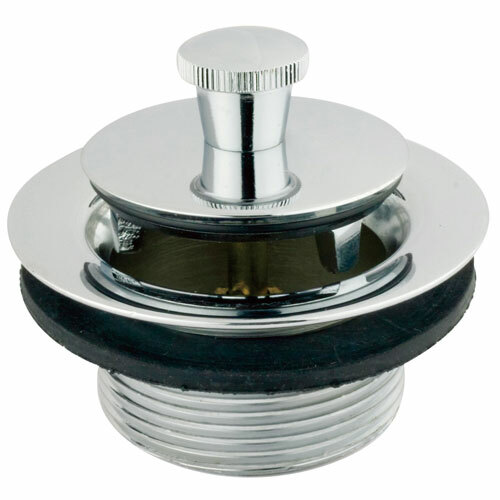 Kingston Brass Chrome Made to Match 1-1/2-inch Brass Lift & Lock Drain DLL201: This 1-1/2-inch Brass Lift & Lock Drain is built to last. The highest quality standards are used to precision manufacturer a top of the line product. Important features of this BRAND NEW Fixture: Complete Item! Everything necessary for installation is included. Matching Accessories Available - Easy to Install - Installation instructions included - 1-1/2-inch Brass Lift & Lock Drain - The lift and lock drain features a solid brass construction built for durability and reliability. The adjustable knob is 1-15/16-inch wide with a 2-1/8-inch elevation on the top layer allowing easy adjusting with water drainage. - Made from shiny polished chrome finish - Premium brass and rubber construction - Heavy duty construction - Easy installation - 1-1/2-inch diameter tube - Chrome premier finish designed to resist fading and tarnishing. This fixture is manufactured by Kingston Brass and is part of their Made To Match collection. The lift and lock drain features a solid brass construction built for durability and reliability. The adjustable knob is 1-15/16" wide with a 2-1/8" elevation on the top layer allowing easy adjusting with water drainage.